Collecting Data can be challenging and let’s face it, most of us would rather not do it. Keeping interactions natural can be challenging when you are also trying to take data. Children who are anxious or are perfectionists can also make data collecting hard. 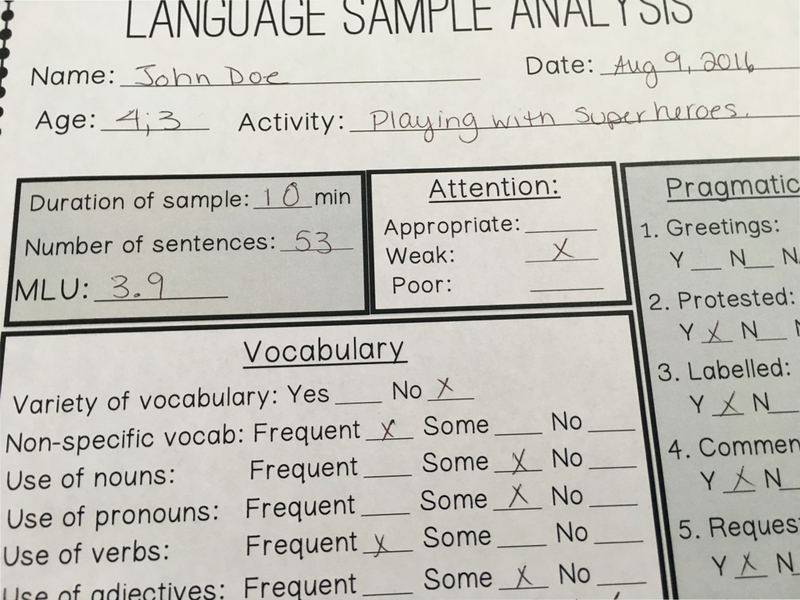 Here are a few tricks from the SLPs at Speech Spotlight use when collecting data. I will refer primarily to artic therapy in the rest of the blog but know that you can also use these techniques for language therapy. Flip up/flip down data collecting technique is a classic. It’s great if you are using cards. 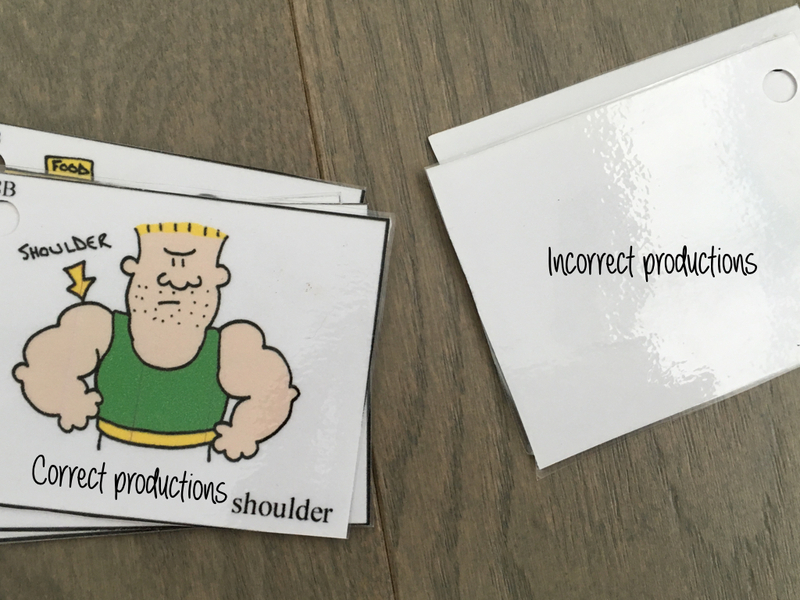 Correct production cards are placed face-down and incorrect productions are placed face-up. This is great because it is quick. It’s also great for those children who are very sensitive to getting the production wrong. Thanks Linda and Ashley R. for that suggestion. 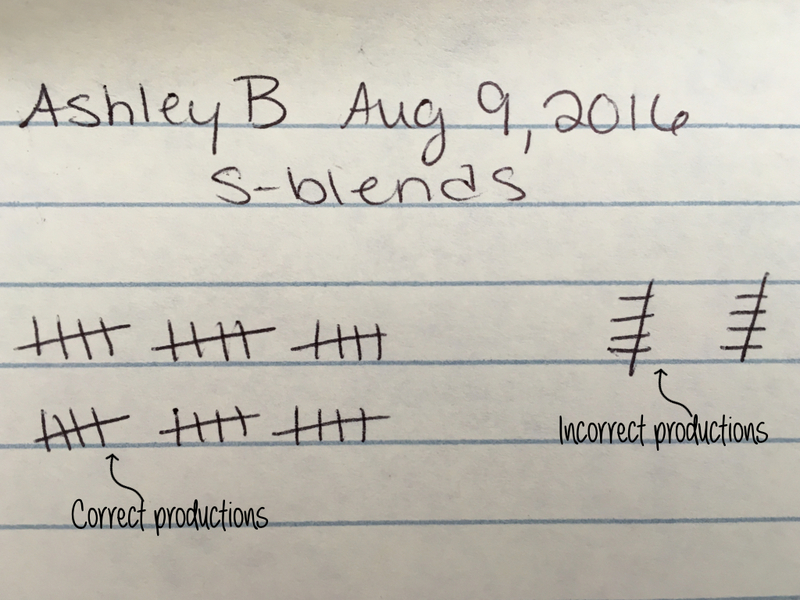 Ashley B. has a different take on using hash marks. 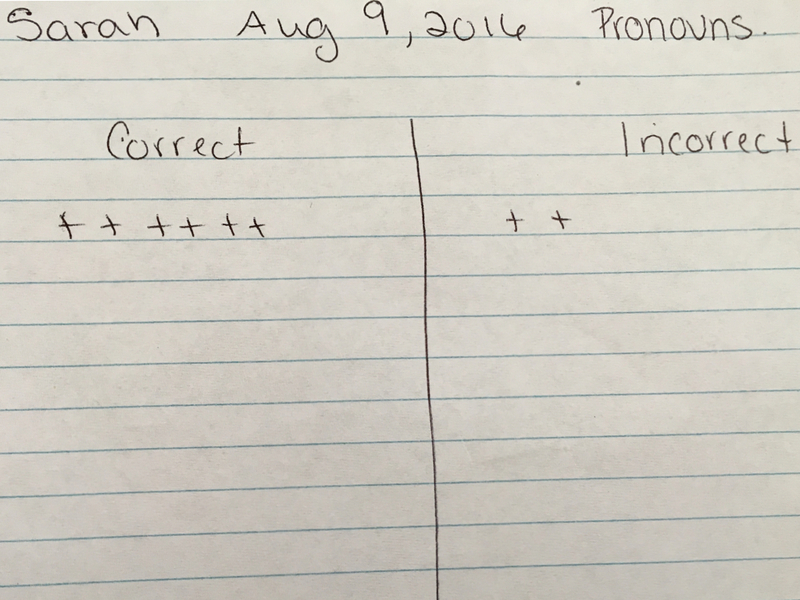 When a child has gotten a production correct she uses the normal hash marks. When a child does not get the production correct, she will orient the hash marks vertically. 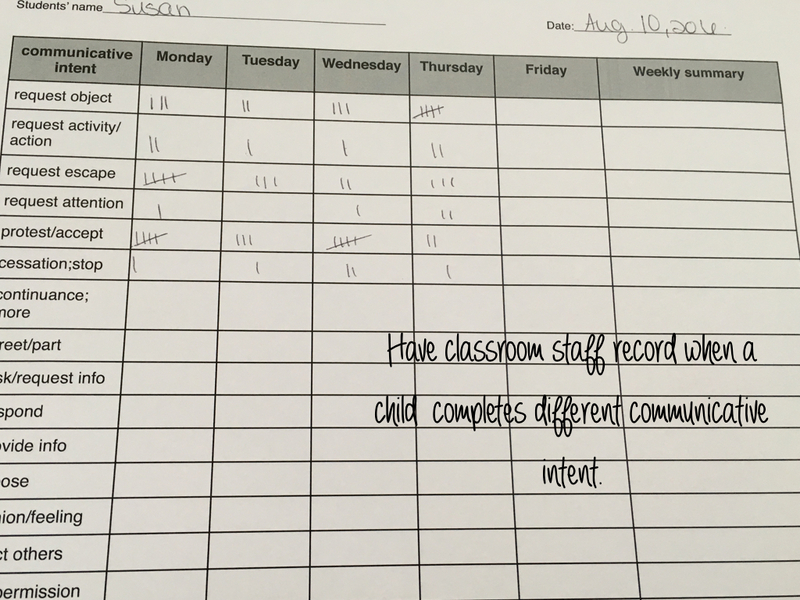 Susan’s has a list of communication functions which she gives the teacher at a student’s school. She has the staff make hash marks when the student uses their AAC device for the different communicative intents. Tamatha keeps track in her head. She says this is great for those children who are sensitive to whether they got it right or not. When the child is busy with a reinforcement, she will write it down on a sticky note. 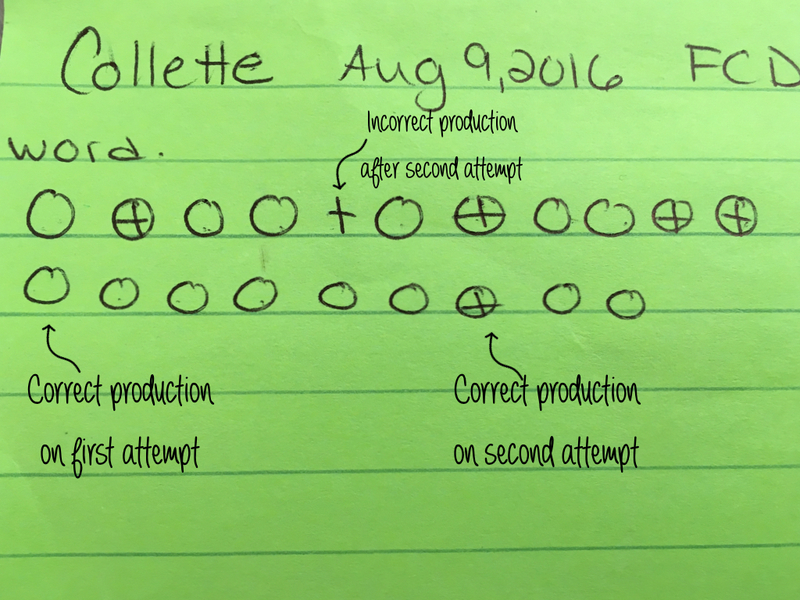 Collette has a slightly different version of hash marks/checks. 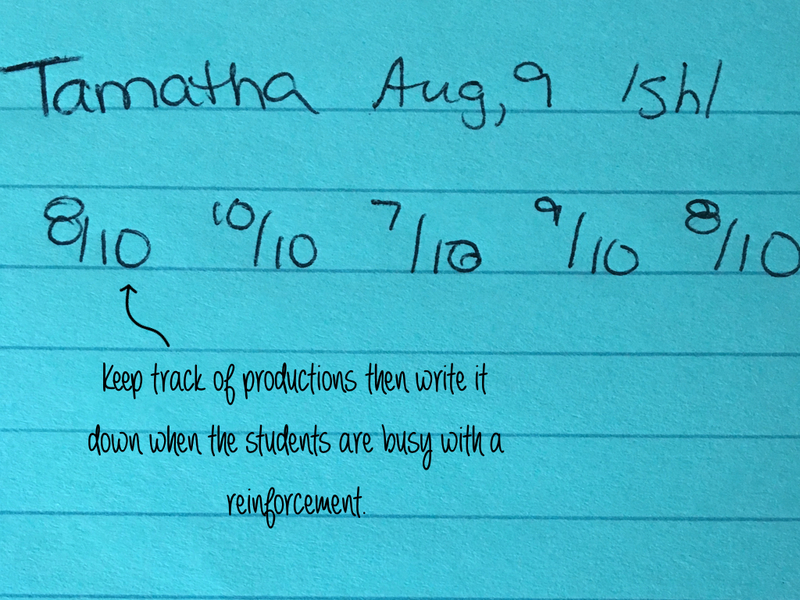 If a child gets it right on the first production, they get a circle. If they get get it right on the second attempt then they get a circle with a plus sign in the middle. If they do not get is right after two attempts then they get a plus sign. Sarah will have a chart for taking data. One side for correct and the other side for incorrect. She will then put pluses on her chart. 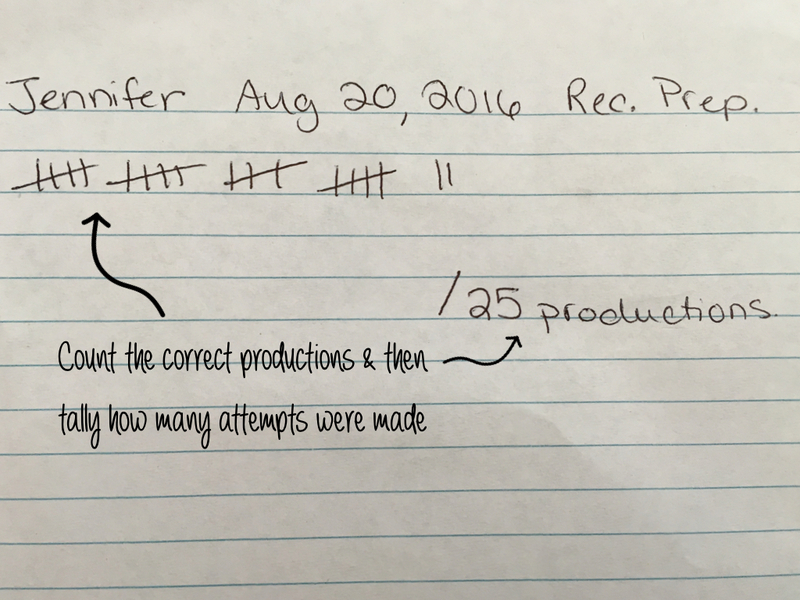 Jennifer also uses tally marks. She will put the child’s name and goals on a sheet of paper and then marks down correct productions. She then records the number of attempts made. 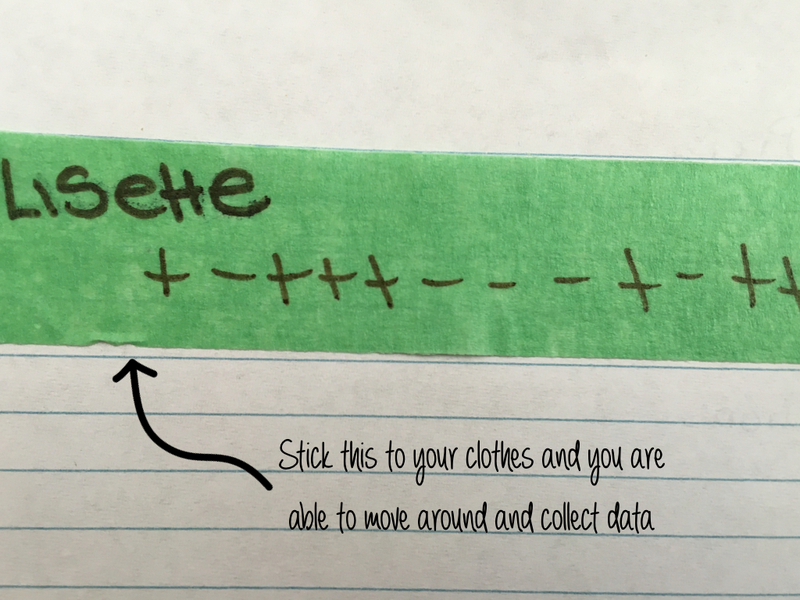 Lisette has a great suggestion using tape. She will write down the child’s name on the tape and then keeps a marker with her and makes hash marks on the tape and then transfer it to the log later. This is great for keeping data during play or when you are moving a lot during a session. For taking data that is timed (e.g. 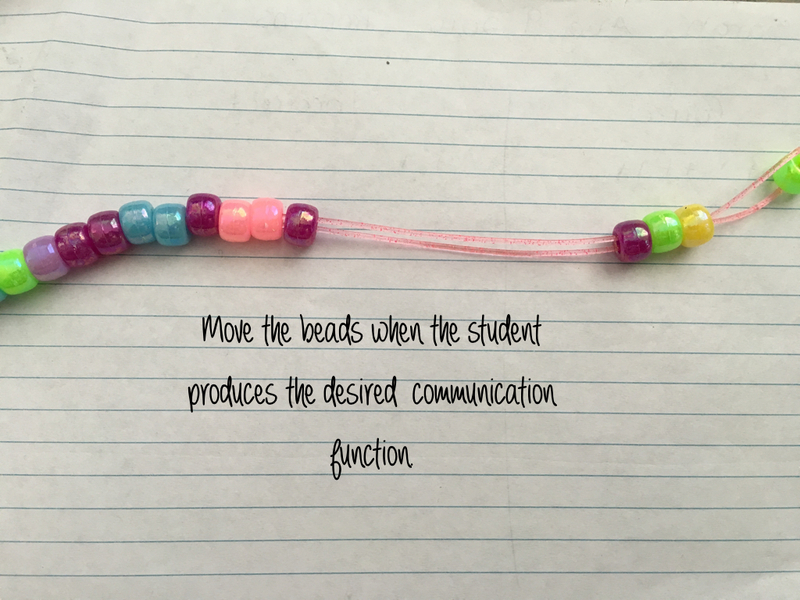 Jon will do X three times in a 5 minute interaction), have a bracelet with beads and move the beads when they successfully complete a task. When you are done playing, write out the information. Taking language samples are also great for taking data especially when you want to know how they are preforming in a more natural setting. They are also great for providing a variety of other information. Later you can transfer the data to a sheet and compare the results. What are your best data keeping techniques? Are any of these forms that are used for data collection available online for us to use or customize? Hi! The forms are now linked to the blog. THANKS so much! I look forward to trying these out this upcoming school year!